Toadette replaces Blue Toad as a playable character. New power-up item The Super Crown has been added. This item can only be used by Toadette, which turns her into Peachette. Peachette can float, perform infinite double jumps similar to the P-Acorn and can double jumps her way out of pits to avoid losing a life. With New Super Mario Bros. U Deluxe, the New Super Luigi U levels now start off with 200 seconds on the clock instead of 100. New Super Mario Bros. U Deluxe, features new voice clips for Nabbit that are similar to the voice clips for the Toad characters. Although Nabbit can’t ride Yoshis, he can bounce off them. Buttons on different controllers can be remapped on the pause map. New Super Mario Bros. U Deluxe’s title screen uses the “same ground” as the one seen in the New Super Luigi U title screen and has Nabbit included. 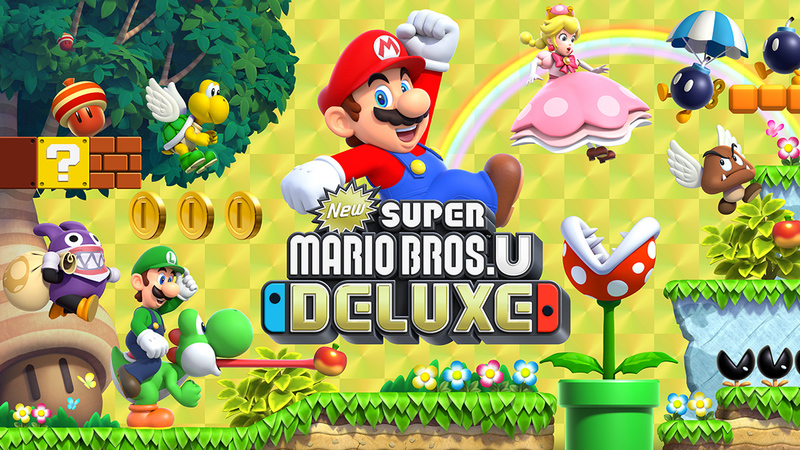 New Super Mario Bros. U Deluxe launches worldwide on January 11, 2019, will you be picking it up? Let us know!